I’m really excited for you to read this conversation between author and midwife Ilana Stanger-Ross and my partner-in-all-things, Katie Tahmaseb. 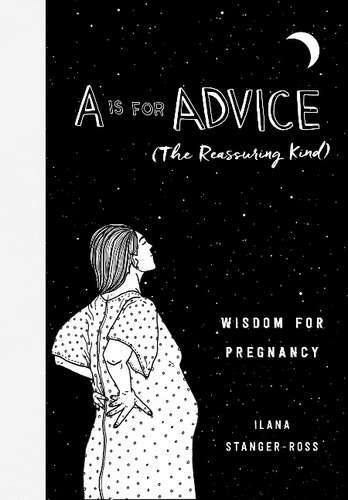 You see, Katie’s pregnant with our second child, and she kindly agreed to read an advance copy of Ilana’s book, A is for Advice (The Reassuring Kind): Wisdom for Pregnancy, and then ask her some questions about it. As you’ll see below, Ilana does indeed have lots of wisdom to share. Side-note: Katie helps a ton behind the scenes here at Spiritual Parent, so I’m thrilled that she’s taken a more public-facing role with this interview. I also want to point out that she genuinely enjoyed Ilana’s book, and I know many of you will, too. Be sure to pre-order a copy for yourself or someone you know. Here’s to wisdom—the reassuring kind. Thank you so much for writing this book. 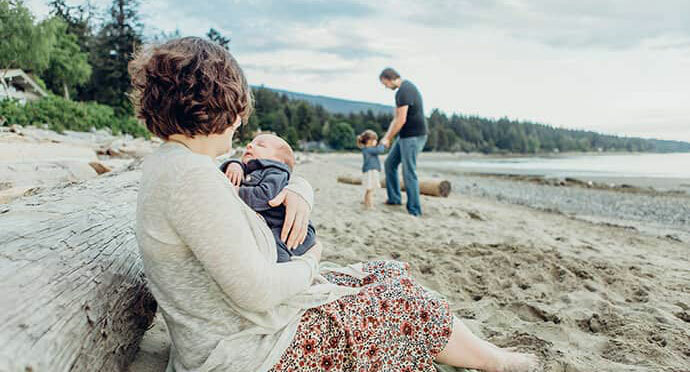 I’m the parent of a young toddler and I’m in the second trimester with my second child, so I greatly appreciated the stories, medical insights, and opportunity to reflect on this wonderful, strange, often unbelievable journey of becoming a parent. In your introduction you said you hoped A is for Advice would provide reassurance (which it does!) but also a call to action. Can you speak a little more about the message you’re hoping to spread? Thank you. I’m so honored that my book spoke to you, and I absolutely love the description of becoming a parent as “wonderful, strange, and often unbelievable.” I started writing A is for Advice because I felt that, as a maternity care provider, I saw so much anxiety about pregnancy, birth, and parenthood among my clients, and so much self-inflicted pressure to achieve some kind of ideal birth or status as a parent. So ultimately, I wanted a book that said, hey, labor can be hard, parenting is definitely hard, but you’ll do your best and that’s going to be absolutely enough—trust yourself, and be gentle with yourself. At the same time, I recognize that the US maternity system does often let women down, and by reassuring women I don’t mean to advocate passivity or complacency. By advocating for women to trust themselves I mean just that—your voice matters, your experience matters, and your care providers should place your decisions at the center of your care. And: when it comes to using your voice to reflect on yourself, be gentle with yourself. You provide a great window into the field of midwifery, from both the provider and patient perspectives. For those who don’t know a lot about a midwife’s role, or who may be interested in the field themselves, what aspects would you highlight for them? Oh—there’s so much I’d love to highlight! I’ll try to be succinct. I practice in Canada, and one of the wonderful things about Canadian midwifery is that we are fully integrated into the health care system. In the city where I practice, midwives catch over 30% of the babies—our clients are teachers and doctors and lawyers and stay-at-home moms and nurses and people on the margins, and they truly reflect the diversity of our city. Canadian midwives provide all of a woman’s prenatal care, act as the primary caregiver for her active labor, deliver her baby, and then care for both mom and babe for about six weeks postpartum. If any complications arise, we’re also happy to consult with our obstetric, family physician, and pediatric colleagues, and it’s a real pleasure to be able to provide collaborative care. All Canadian midwives are licensed and mandated to provide birth at home or in the hospital, and that’s unique as well—we’re trained in both environments. Finally, midwifery care is covered by the health care system, so women never have to pay me a cent. Hmm—I said I’d be succinct and instead I feel like I could go on and on about this—clearly I am passionate about the Canadian midwifery model. Ultimately, it’s so wonderful to build a relationship with a client and support them on that journey from pregnancy to parenthood—it’s such a special time. Throughout the book you highlight stories, both shared by clients and about your own family, including all of the incredible moments of joy and serendipity that can come with parenthood. What about your work, as a midwife and/or mother, brings you joy? Oh, man—so much of it. 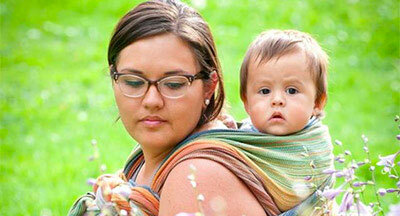 There is something truly addictive about feeling a baby emerge from a woman’s body. It’s an incredible feeling. 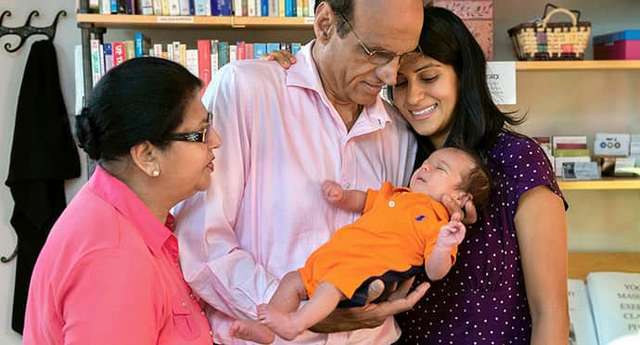 And then seeing those first moments, the joy and pride and relief and love as parents take in their new baby—it is such a privilege to get to witness such a pivotal moment in someone’s life. I also just love it when clients return in their next pregnancy and I get to greet a toddler who I last knew as a six-week-old—it’s so fun to watch families grow. At the end of a birth, when I return home to my own children they’ll often ask me what kind of baby was born, and whether the baby has a name yet—I love sharing those kinds of details with them, because it makes my work concrete for them. And the city where I work is small enough that I often bump into old clients. 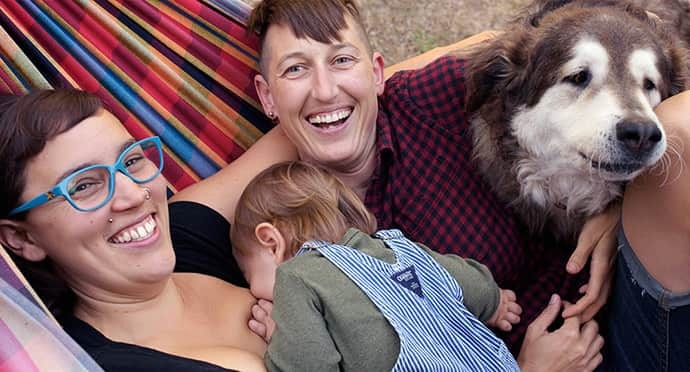 I can’t claim my kids really enjoy that—they’re often yanking on my arm while I’m busy chatting up a young mother—but I get such a kick out of that village-midwife vibe. You shared that at the suggestion of your brother, who is a rabbi, you recited the Shecheyanu, a Jewish blessing of thanks for having reached this season, shortly after your daughter was born and finally understood the prayer for all that it meant. How has your work as a midwife, as well as your own adventures in parenthood, brought more depth to your own spirituality? What a fantastic and difficult question. Gosh, I think like so many of us, I am still figuring this out. I really struggle to express my feelings about spirituality in any kind of coherent, logical way—but for me it’s about community and connection, and wanting my children to feel kinship with something bigger than themselves. As a midwife, I regularly get to witness moments of intense joy and love and surrender. And I see so much strength, and so much beauty, and I see how birth happens on its own timeline. Certainly, being present at one of life’s essential (in every sense of the word) moments keeps my sense of awe acutely intact. You pointed out that “parenting begins in pregnancy,” and later provided this beautiful description and metaphor: “Before we see our babies or smell them, touch them or hear them, they touch us. It’s a metaphor, maybe, for parenting. Because as much as we all strive to raise our children well, ultimately, where they lead, we will follow.” For parents-to-be, what can we do to prepare ourselves to be in the best mindset for this journey? I think just to be open to the idea that your child will teach you how to be the best parent to them. We all have ideas of who our children will be; we can’t help it. I have found as a parent that anytime I have said, “Oh, I would never do that,” I have absolutely found myself doing it. For instance: home-schooling. I had less than zero interest in ever home-schooling, and then we ended up doing just that for a period of a few months. And it was an amazing experience. All these years later, I try to remember that.